Just sharing a tiny bit of sunshine since it seems so many are dealing with some pretty crummy weather right now. 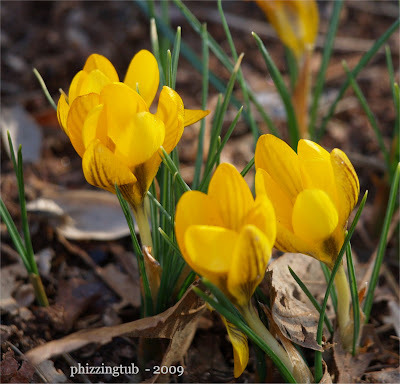 There is hope that spring is right around the corner. There little gems popped up over the past weekend. Awesome! Hope they don't get nipped by any cold temps or snow. We should have only one more cold snap here so they are good to go!